It is hard for me to think of another young actor whose breakthrough role earned him a Best Supporting Actor Oscar nomination — and who then continued to wow audiences in amazing performance after amazing performance in every movie he’s been in since. 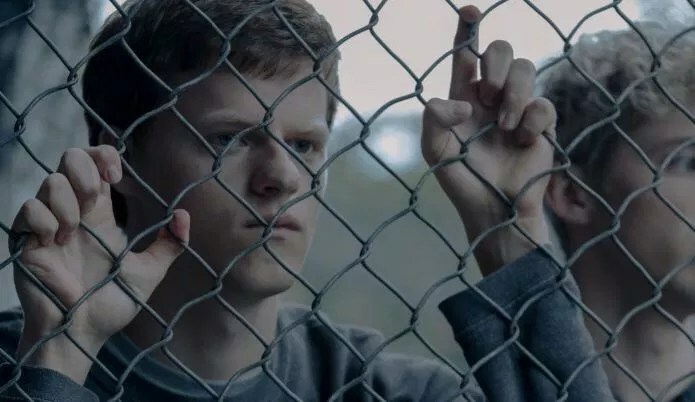 But that is exactly what Lucas Hedges has done, starting in 2016 when he stole every scene (and added much-needed levity) in Manchester By the Sea, earning the coveted nod for playing a teenager who unexpectedly loses his father opposite Casey Affleck. The following year, he continued to show his range as a conflicted high schooler in the Academy Award nominated Lady Bird alongside Saoirse Ronan, and also played Frances McDormand’s frustrated son in the dark dramedy (and ALSO Academy Award nominated) Three Billboards Outside Ebbing, Missouri. Are you noticing a pattern here? Everything this guy is in racks up awards and nominations! And this year is no different. However, this time Hedges is finally in the lead role. In the new-to-the-Box Boy Erased, which is based on a true story, he plays a gay college student whose ultra-religious parents (Russell Crowe and Nicole Kidman) send him to a “conversion therapy” program. I wasn’t sure what to expect from this film, but I thought it was profoundly moving and thought-provoking (on top of enraging), and I highly recommend it. But Hedges didn’t stop there last year. He also had a small part as the older brother in director Jonah Hill’s strong debut, Mid90s,in addition to another leading role and incredible turn as Julia Roberts’ drug-addicted son in Ben is Back (available for purchase through Redbox On Demand on February 19). It’s no surprise that Hedges is “in the biz,” as his father is a successful novelist, screenwriter and director who’s been involved with everything from What’s Eating Gilbert Grape (crazy-young Leonardo DiCaprio and Johnny Depp!) to About a Boy to … Ben is Back. In fact, even though Lucas seems like he’s relatively new to Hollywood since Manchester By the Sea came out in 2016, he had actually been working steadily for the full decade prior, with small parts in excellent films including Moonrise Kingdom, Kill the Messenger and The Grand Budapest Hotel. Back to the present: This year Hedges is starring in Honey Boy, which just premiered at Sundance and was written by Shia LaBeouf (who plays his own father in it) — it’s a deeply personal film about Shia’s abusive upbringing, and seems to have wowed critics so far. Lucas will also be in Waves, a romantic drama from director Trey Edward Shults. Based on what we’ve seen from him so far, I have no doubt that Hedges is going to have a long and successful career — he’s already established himself as one of the best actors of his generation.